Fall Fun in the Lehigh Valley! We're thrilled to be entering this lovely season of apple picking, treats, cool weather and to enjoy all of the great events and festivals that go along with it! We've been working hard over the past few weeks to get some great content together to share with you! 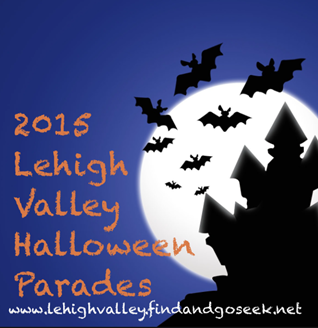 Enjoy some great lists of fall activities and events going on in the Lehigh Valley. Don't forget to join our Fall Fun Facebook Event for daily updates on upcoming events, new activities and more! We make it super fun to get out an enjoy what the valley has to offer all year long! 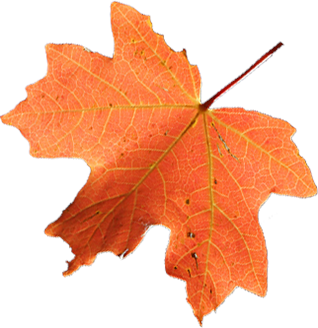 Fall is bursting with so many special events and activities! It is easy to find something great to do this season! Costumes, Candy and so much more! Check out your local trick or treat date or find a Halloween parade to attend. We also have some great info on indoor and alternative trick or treat events. Check back for updates, as some municipalities are still announcing their dates. 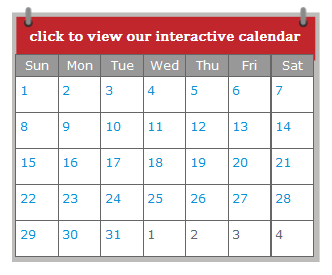 Tons of different towns and areas will be hosting parades their year, find one and add it to your calendar! Enjoy what is left of the mild weather and get outside! There are so many local fall festivals going on to keep you busy through the next few months. Enjoy some great food, and family time. Pack everyone's hoodies and bundle up for some outdoor fun! Check out our Fall Festival Guide for 2015! 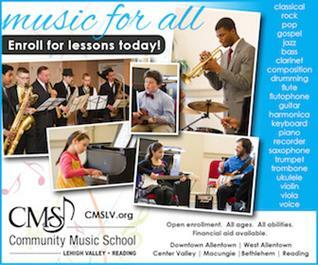 Community Music School (CMS) offers high-quality private and group instruction to musicians of all ages and abilities in nearly every instrument and voice at six locations throughout the Lehigh Valley and Reading. Our faculty is sensitive to each student’s individual musical abilities, needs, and pace of learning. All students have numerous opportunities to perform once they are ready to do so, including in-house recitals, community arts festivals, and private events. We strive to not only nurture budding musicians, but allow all children access to the life-long benefits of music study – increased concentration, persistence of practice, responsibility of caring for their instrument, and performing with others. CMS is now enrolling for the fall and is excited for some new music lovers to join their programs! Click here to learn more! Whether you are looking for a full fall adventure or a simple orchard to pick at you can find it on our list of You Pick farms right here! From Allentown to Bethlehem and from the south to the north farms are plentiful in the area and many of them will be allowing you to harvest your own crop of apples through October. Multiple varieties are available at local farms. 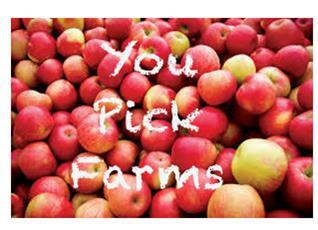 Make sure to note the farms who will also be hosting pumpkin picking through the fall as well! Capture some fall photos this season! 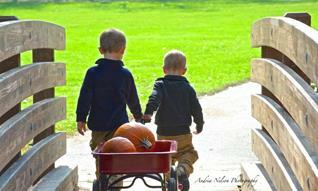 Visit an orchard and get some great shots courtesy of Andria Nelson Photography! 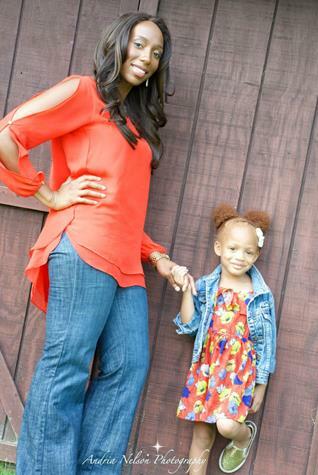 She is booking sessions immediately at area locations! Please note: Maximum of 4 persons per session, each additional person will be charged a $10 per person sitting fee. Contact andrianelson11@gmail.com to see what times and dates are available! 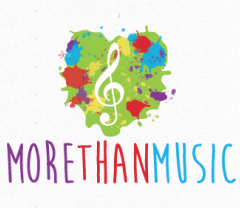 More Than Music is now enrolling for their October classes. As fall rolls in, there couldn't be a better time to find a great new indoor activity! As one of the top reviewed music programs on Lehigh Valley Find and Go Seek these wonderful classes are sure to entertain and enrich your child's love of music! Read more about their program locations and learn how to register here! The Same Vlasics Foundation is hosting their first Mini Golf Classic on October 4th! This foundation that was created by a local mom to support families of children born with heart defects after her son Sam was diagnosed as birth. This fundraiser is the perfect way to get everyone involved to support a great cause(kids too!). Each person can golf for just $10 and all participants will enjoy a continental breakfast! Prizes will be awarded by age groups. Click here for more information! 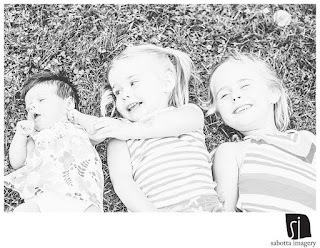 We're extremely excited to feature a guest blog post for an amazing local mom founded non-profit, the Sam Vlasics Foundation. My name is Dana Vlasics. I am a life-long resident of the Lehigh Valley, currently residing in Nazareth. I am employed part time as a dental hygienist in Bethlehem. I am happily married to my husband of eight years, Paul, and we have two beautiful boys together, Jack and Sam. Jack is seven years old, and is in 2nd grade this year, which I can hardly believe. He is unbelievable sweet, very sensitive, and has quite an imagination. He has an ear for music, and has my husband’s sense of humor. He has an affection for Minecraft and all modes of transportation, including roller coasters. Sam is my five year old. He eats, sleeps, and breathes sports. He is rarely seen without some type of sports jersey, and he isn’t too particular about his teams yet. He’ll eat just about anything and is quite the socialite. He and his brother are the best of friends. Both pregnancies with the boys were pretty normal and had no complications. The day Sam was born was pretty normal. Relatives came and visited, including big brother Jack. Everyone left in the evening, and Sam and I settled in for the night. I told my husband to go to work the next day, because I would rather him spend his time off with us at home than with me while I’m just siting in the hospital. My dad came for a visit early that morning, and shortly after, Sam went back to the nursery to wait for the pediatrician to do his exam. So I sat and waited, and waited. I asked the nurse when I could have him back and she said the Dr just came and was checking him. The pediatrician came in to talk to me and mentioned he had examined Sam. He said he was having a hard time feeling his femoral pulses, explaining that they can be hard to feel, so he was having the nursery run some tests just to make sure everything was ok. When he left the room, I googled “lack of femoral pulses in a newborn”. What I read seemed bad, but I figured it probably wasn’t accurate, that the Internet usually exaggerates. Unfortunately, google was pretty close. Sam had a life-threatening heart defect. Doctors and nurses started filling my room, asking questions. My husband happened to call and I couldn’t even tell him what was happening. A nurse explained what she knew, and Paul rushed right over. My mom called me at lunch to see how we were, and all I could utter was, “Mom, there’s something wrong with Sam’s heart”. My whole world was flipped upside down. Sam was airlifted to St Christopher’s Hospital for Children in Philadelphia. His first diagnosis was an Interrupted Aortic Arch. His descending aorta, the part that oxygenates the lower half of your body, was not connected to his heart. His body was visibly half red, half blue. His other defect was found the morning of his surgery, an aorto-pulmonary window. This combination of defects was so rare; the doctors had very little experience with his case. They were able to stabilize him until he could receive surgery. His first open heart surgery was at one week old. They were able to repair his aorta, and patch the hole in his heart. It’s hard to believe that the doctors can work on such a tiny heart with such precision. After a total of three weeks in the hospital, Sam came home. It was tricky adjusting to caring for a special needs newborn, and dealing with a two year old big brother at the same time. Thank God family and friends were always close by to help. Part of the original plan of treatment was to do a cardiac catheterization three months after Sam’s surgery. They were going to balloon areas in his heart that were repaired, breaking scar tissue to release pressure in his heart. When they did the cath, they found the original repair was unsuccessful. The tissues they used in the first surgery never grew with him. Basically his heart looked the same as when he left the hospital after his surgery, but now he was three months old. He needed a second open heart surgery. This story does have a happy ending. Today Sam is a healthy, thriving, crazy bundle of fun. We do not know what lies ahead for Sam, but we know the fighting spirit that has brought him this far will continue to serve him well in the future. 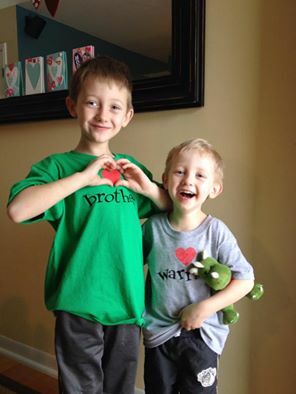 Our family and friends are dedicated to raising congenital heart defect awareness. We are the only Lehigh Valley based heart defect awareness group. When Sam was born, we felt very alone in the CHD world. We didn’t want anyone else to feel that way so we created the Sam Vlasics Foundation to help other families affected by CHD. We spread awareness in a few different ways. Each year we hold the Warm Hearts 5K. Money from that event has allowed us to print information about heart defects, to be handed out at public events such as Iron Pigs games, and Levitt Pavilion concerts. We do special projects such as pillowcase projects for St. Christopher’s Hospital for Children. We also provide families there with backpacks, a notebook, pen, and an expandable file folder to keep track of all of their child’s medical info. 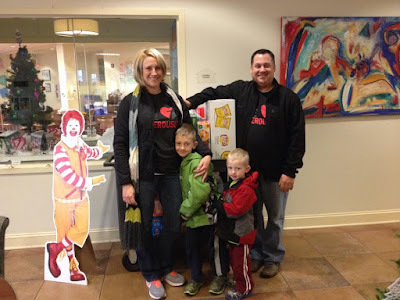 We hold Wish List drives for the Philadelphia Ronald McDonald House on Front & Erie, as well as cooking dinner there annually for Sam’s birthday. This year, we are able to send four mothers to Hayden’s Heart’s “Healing of the Heart” retreat. This retreat is a unique peer experience for grieving mothers of heart angels. Our newest event, the Little Hearts Mini Golf Classic, will happen on Sunday, October 4th, 2015, at Putt U in Center Valley. 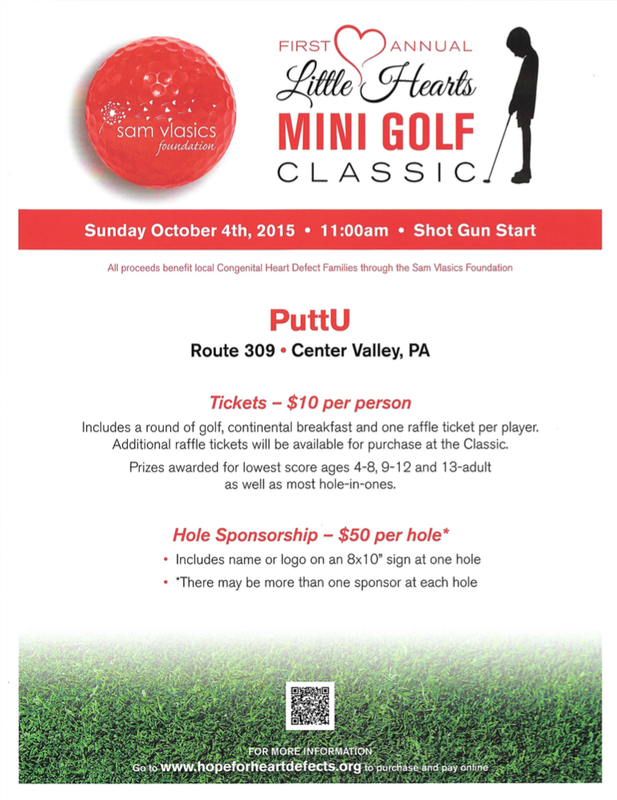 Come join us for a morning of mini-golf and raffles to support SVF! 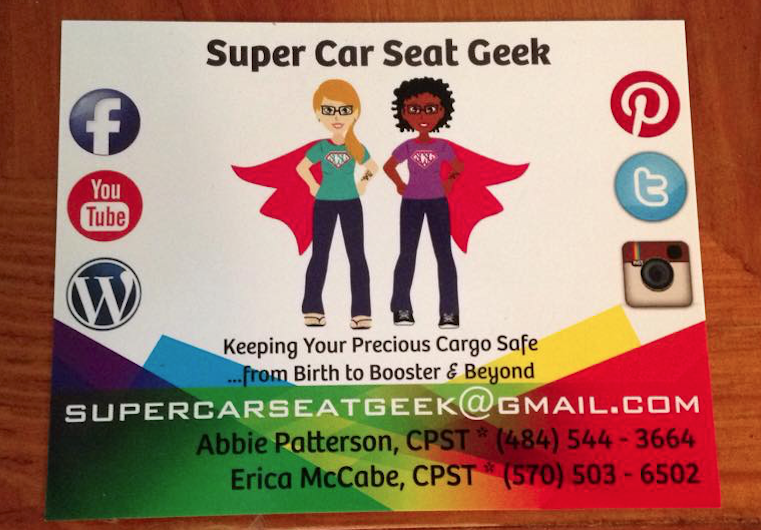 Super Car Seat Concierge Service! 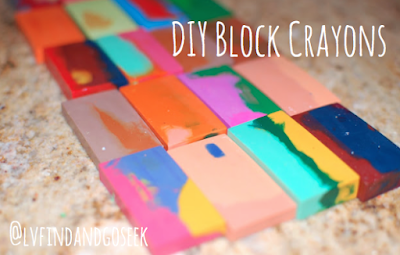 I keep most of our family's private life separate from the Find and Go Seek blog and Facebook page for a few reasons. I've been holding on to this post for a while because it comes with more than just information about a local event, attraction or service for children! 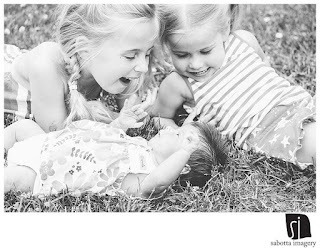 With this post we officially announce the arrival our our third little chickadee to our nest! We're so excited to have expanded our family and in preparation we scheduled a few meetings over the past months to ensure that our new little one was as safe as possible while riding along with us! 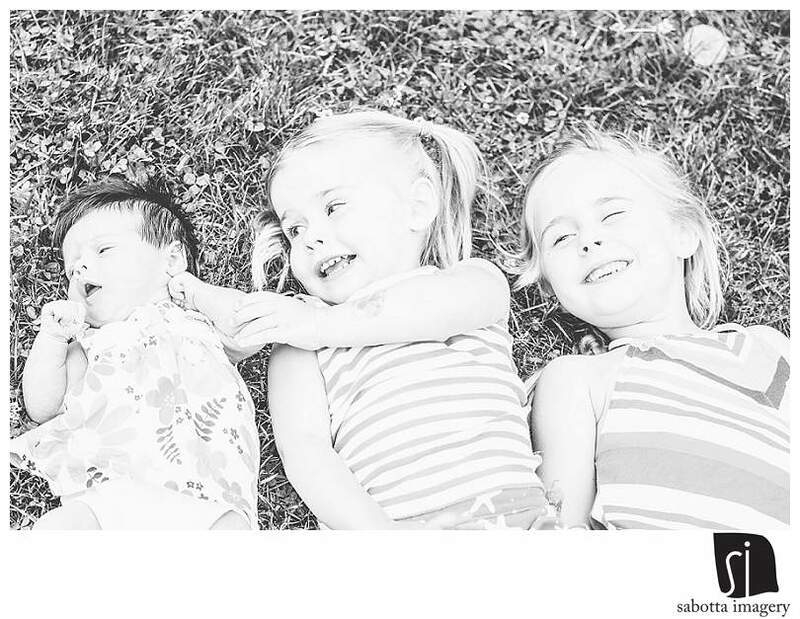 Read and learn about why this service means to world to us in keeping our little loves safe! 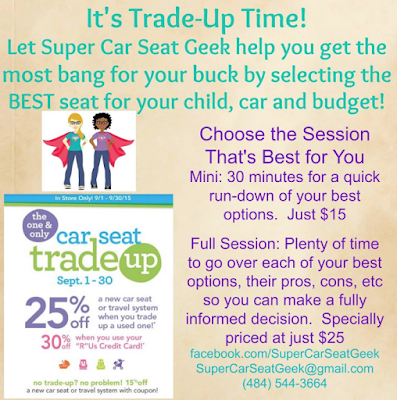 Over the past years as parents we've come to realize that navigating the crazy world of car seats is quite challenging and we've been EXTREMELY blessed to have the pleasure of working with Super Car Seat Geek and benefiting from their impeccable guidance when it comes to choosing, purchasing, installing and re-checking our car seats. 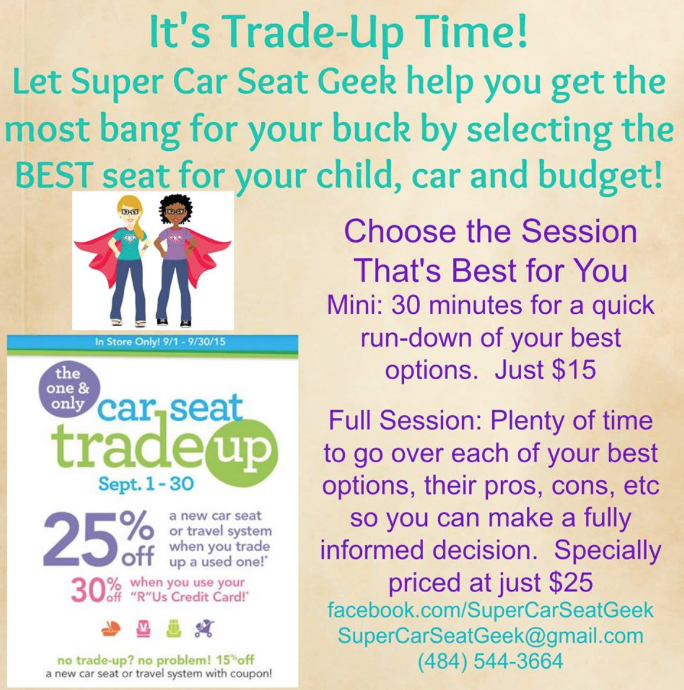 Did you ever wish there was a little carseat expert following around and whispering to you all the little details you never knew you should pay attention to when buying a new car seat? Believe it or not, there is SUCH a thing! 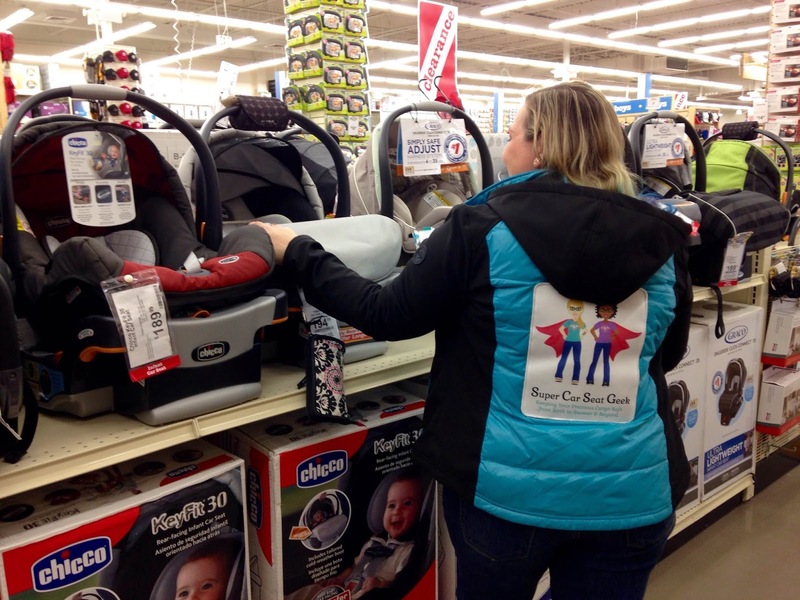 Super Car Seat Geek offers a Car Seat Concierge Service that makes navigating the ins and outs of purchasing your first, second or tenth (!) 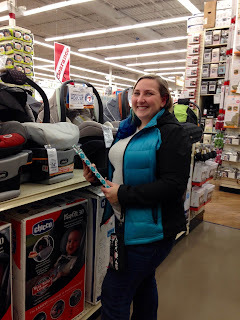 car seat easy! 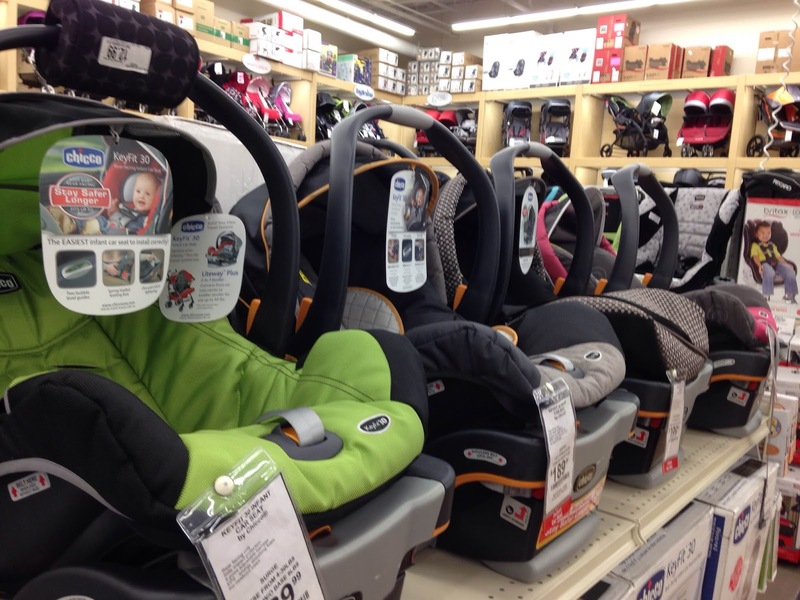 A Child Passenger Safety Technician (CPST) will meet you at a store of your choice (Pocono or Lehigh Valley region) and take down some important details about your child/baby, vehicle(s) and your personal preferences. Using that information your CPST will highlight some seats and explore them with you, telling you about features, cautions and installation tips/tricks. You may ask questions, check out the features and make sure you are finding something that fits your child, car and needs perfectly. 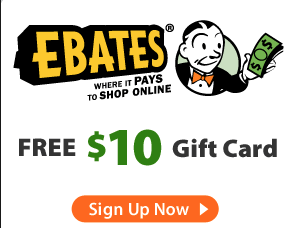 They can also help you score a deal! The team knows where to buy, when to buy and by following them on their Facebook page you may be alerted to deals for seats you might be interested in. Also by following them you will be able to see weekly tips on keeping your children safe while in your vehicle! Take advantage of these amazing services during the Babies R Us Trade up event going on now through the end of September. 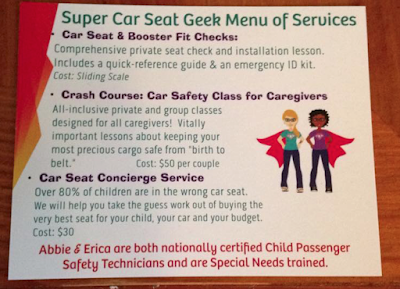 Super Car Sear Geek is offering two specially priced concierge service package just for this month! This is not your average police station car seat check! The Super Car Seat Geek team provides a full write up based on each of your children's ages and personal measurements (height, weight) and the vehicles being used for each of your seats. There is no flat fee for their seat checks but gratuities are much appreciated as the team operates mostly on a volunteer basis. With a new baby on the way, actually I was 1 day over due when I finally got around to having our inspection (procrastinate much?). We chose a Britax BSafe 35 Elite that was purchased from Babies R Us. 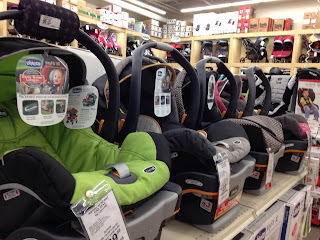 Our desire to have all three children in a single row of our vehicle had a lot to do with the selection of this particular seat, also its ease of use. 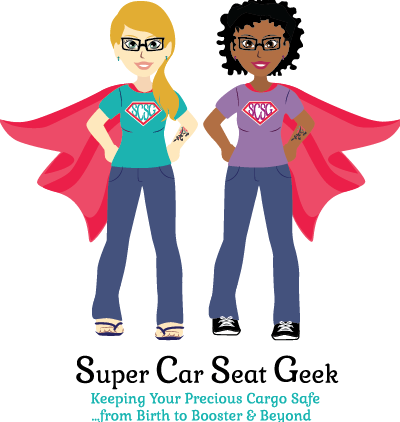 The Super Car Seat Geek team will note that the seat that is right for some may not be right for others, as there are so many factors that go into determining the proper seat. You may notice in the above photo that Abbie bypassed the LATCH system when installing the seat because it created a tighter and more secure fit when using the seatbelt. Had I installed this seat on my own, I would not have been likely to do this as the LATCH system would have been my go in installation method. This is the advantage of having a professional support you while installing and inspecting your seats! She noticed something that I would not have and now baby is safer and riding more securely because of it. We were provided with some great tools for keeping our family safe including the ICE cards for the PENNDOT yellow dot program which is a unique way to inform emergency responders of vital information about a vehicle's passengers in the event of an emergency. Contact Super Car Seat Geek today to schedule an appointment. There services are truly invaluable and the knowledge that offer to families is so helpful. Don't forget to follow them on Facebook for tips and tricks as well! 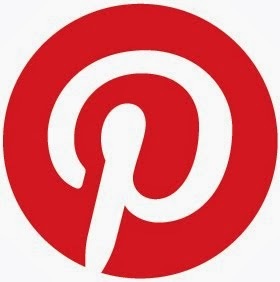 You can also follow them on their blog on Word Press! View some reviews for Super Car Seat Geek here, they are one of the top ranked and most review listings on Lehigh Valley Find and Go Seek.